Collins Booksellers - Human Parasites by Heinz Mehlhorn, 9783319328027. Buy this book online. 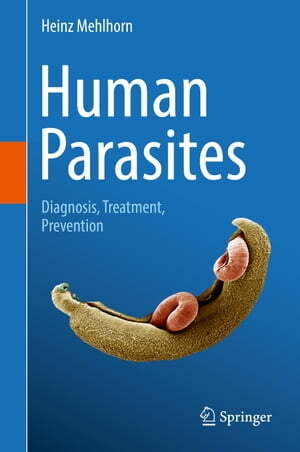 This textbook provides an up-to-date overview of the most important parasites in humans and their potential vectors. For each parasite, the book offers a concise summary including its distribution, epidemiology, life cycle, morphology, clinical manifestations, diagnosis, prophylaxis and therapeutic measures. Numerous tables, diagrams and over 200 colorful illustrations highlight the main aspects of parasitic infestations and present suitable control measures. 60 questions help to test readers’ theoretical knowledge of the field. In short, the book is highly recommended for anyone looking to delve into the field of human parasitology. It is intended for students of biology and human medicine, medical doctors, pharmacists and laboratory staff alike. Furthermore, persons who plan to visit or live longer in endemic regions will find essential information on necessary preventive and control measurements.